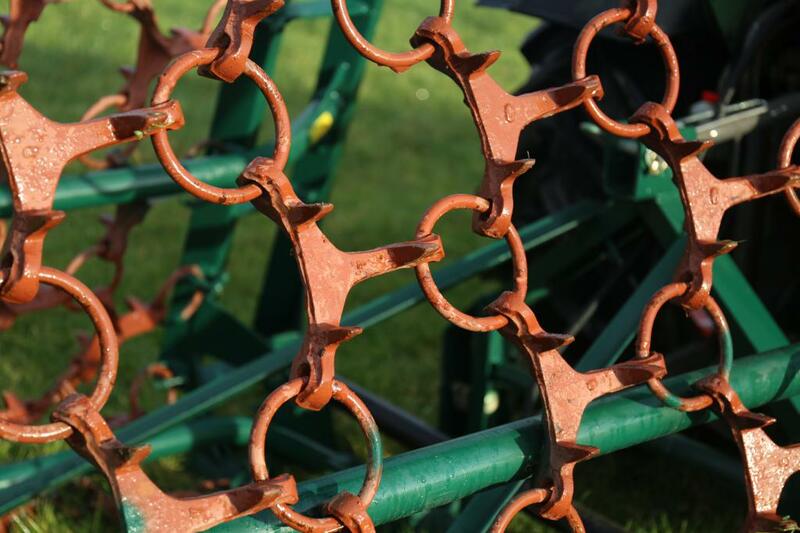 Ideal for pasture maintenance & renovation our chain harrows will give years of continuous service with the minimum attention. 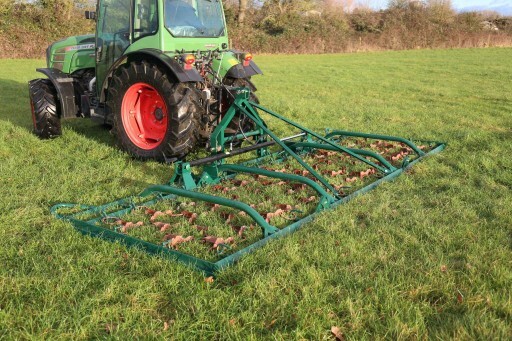 The heavy-duty harrow mat & frame run on the ground and are flexible to follow the ground contours and to penetrate the grass sward into the toughest pasture. The two front bars level out undulations and mole hills with a sturdy construction and high work rates. 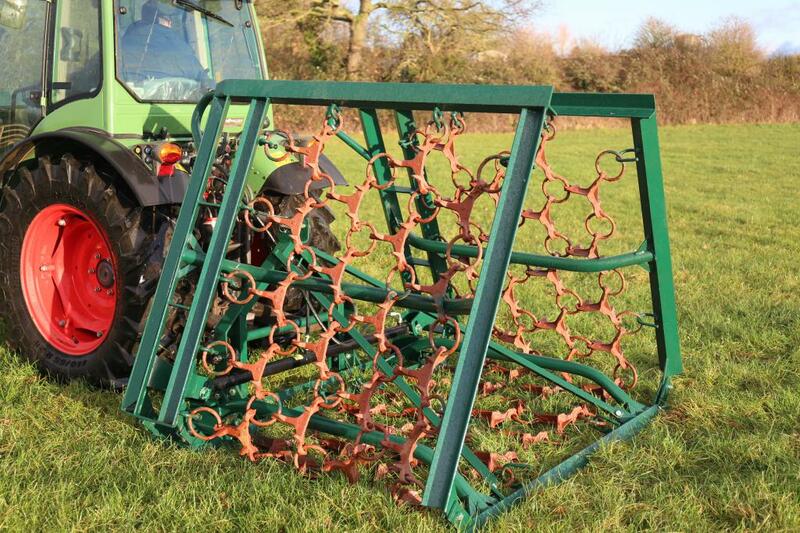 Hydraulic folding models have a heavy duty frame to withstand vigorous use. Heavy duty angle steel construction. Double levelling bars to spread & level mole hills, manure etc. 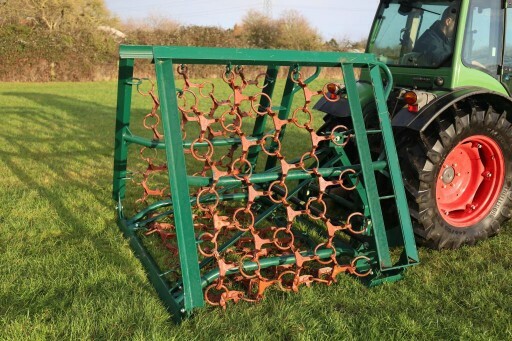 Cast steel harrow sections with ring joints to give exceptionally long life. 3 Rows of harrow sections on 2 & 3 Metre models and 4 Rows on all hydraulic folding models. Models over 3M fold to narrow transport width.